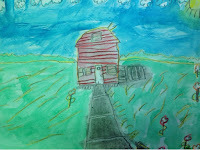 As promised...I'm going to break my all school art show down into grade levels. 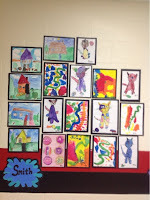 Here are my kindergarten students. 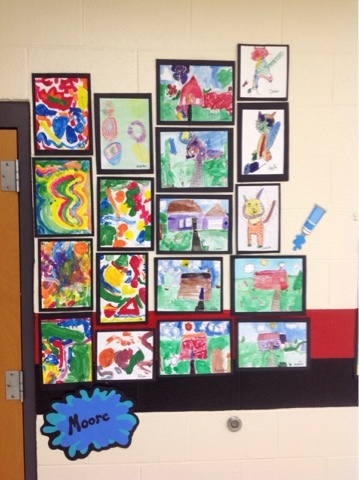 They are truly amazing artists!! 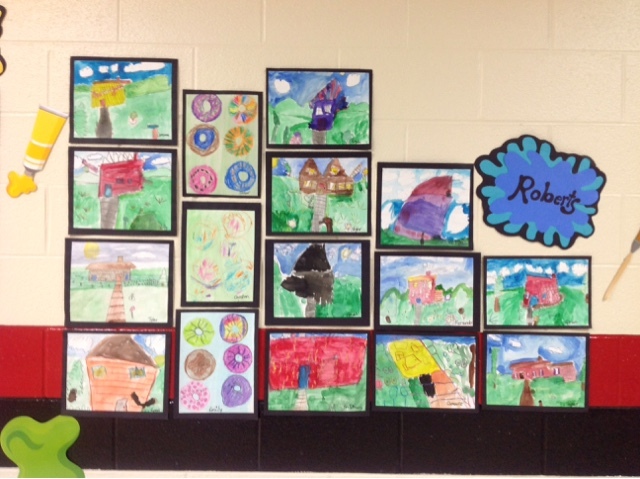 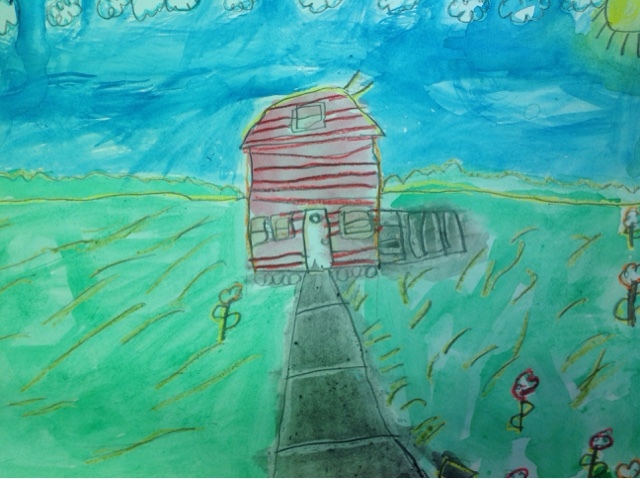 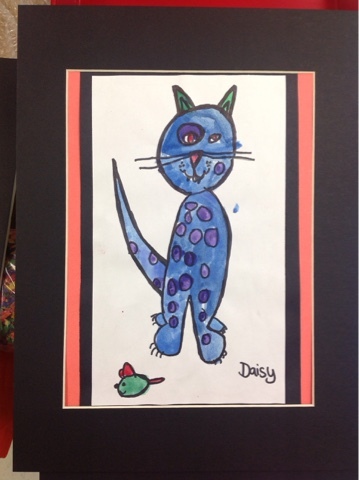 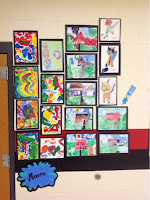 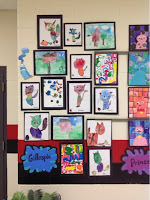 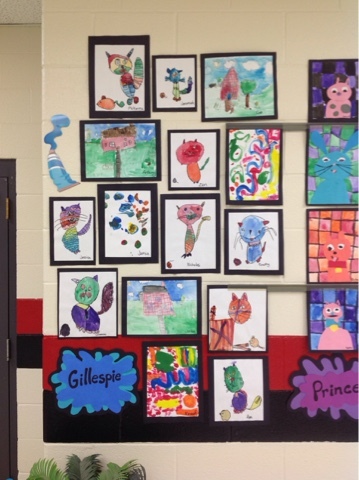 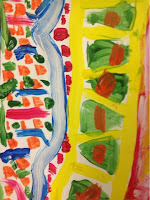 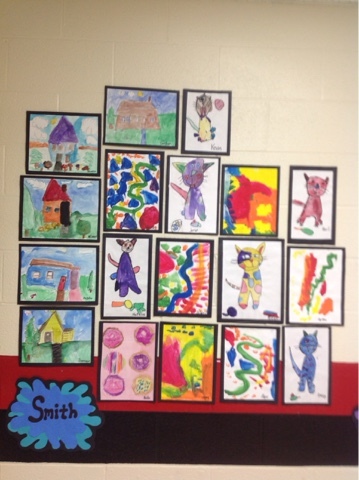 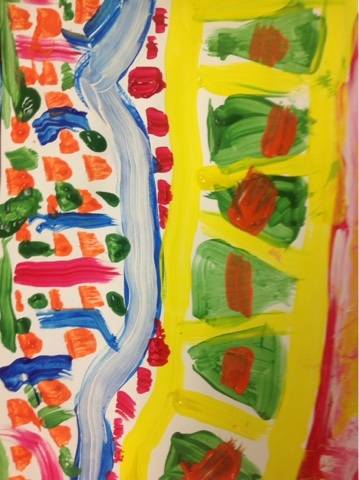 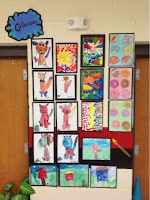 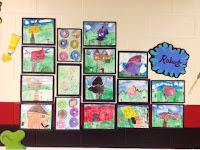 The students were allowed to chose from landscapes with houses, Warhol's cats(crayon & watercolor), Doughnuts(crayon and watercolor), and Kandinsky painting to music(tempera).